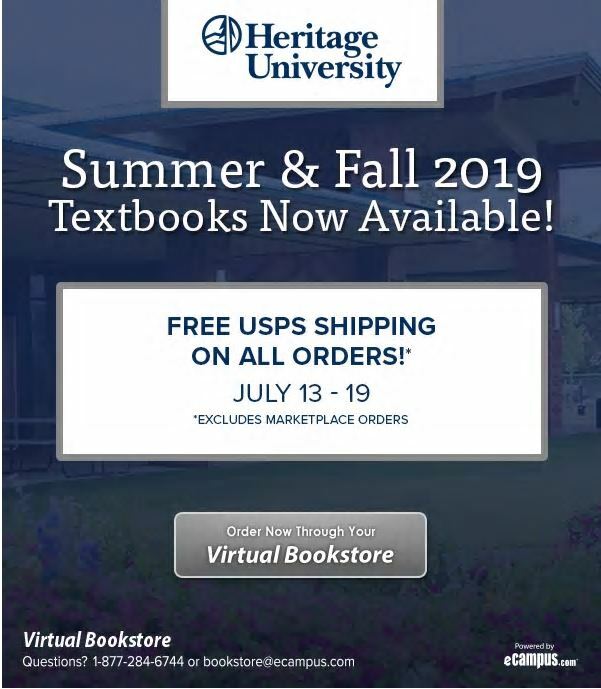 Textbooks for Heritage University classes are available through eCampus. You may order books by mail, telephone, fax or online. Order forms containing all pertinent information are available in the bookstore or in the Student Services Center. Payment can be made by cash, check, credit card, or, if you are eligible, by the college voucher system for students receiving financial aid. To order books online, click Online Bookstore. This link will take you to the eCampus website. Only major credit cards are accepted online.